Well, the developer build of Android 8.1 Oreo for the Pixel has brought new changes in the Pixel Smartphones making them as new as recent launch Pixel 2 Smartphone. 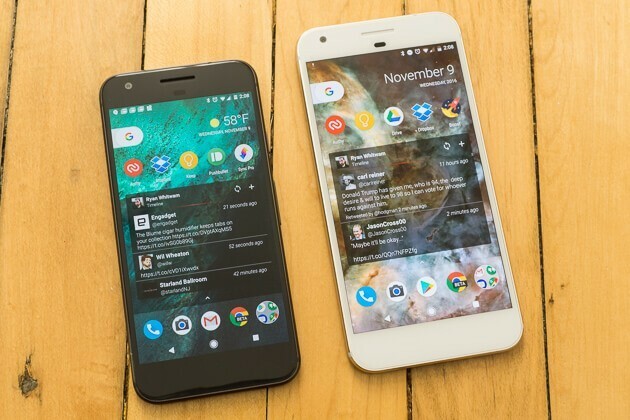 A New feature update has been rolled out recently from Google headquarters that has changed overall Pixel UI experience in Pixel and Pixel XL Smartphone. What has been changed? – The top of the app drawer now features a rounded Search bar with the Google ‘G’ on the left-hand side. Google Search bar that used to remain the in the dock is now integrated with the Pixel launcher. Now when you swipe up the launcher or pull the app drawer you will see the Search bar. The Search bar is also upgraded with new features. It does also bring on some changes like the notification alert limiting apps to just one notification alert sound per second. Android 8.1 Oreo also brings a new Shared Memory API, and adds support for customizing the Autofill feature. The Developers has also discovered some of the hidden features in the Android 8.1 Oreo like – MS Connect feature for Chromebook (Exclusive to Pixel 2) it helps users to read and reply to SMSs on your Chromebook and save space on your Smartphone. If you still not got this update don’t worry as these updates are now widely rolling out to original Pixel and Pixel XL owners on Android 8.1 can take upto 1 week to reach you. Google is expected to release the stable version of Android 8.1 Oreo by December.